Downtime and data loss pose intolerable risks to every business today. From IT departments to the Board Room, managers have seen the importance of business uptime and data protection to continued success, productivity and profitability. 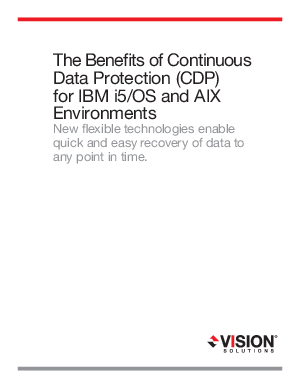 This white paper will provide a road map to the most effective strategies and technologies to protect data and provide fast recovery should data be lost or corrupted due to accident or malicious action.